It’s 2 a.m. and the sweet voice of our toddler calls out in the darkness, “I wanna dink!” I roll over and hope that he’s not as thirsty as he thinks he is and that he will fall back to sleep. It’s quiet… maybe… nope. I hand him the water. He drinks, lays down, grabs his pacifier with one hand, twirls his hair with the other and his eyes are closed before I can bend down to kiss him goodnight. I fall in love with my little guy all over again, head back to bed and to sleep. The next night… “I wanna dink!” Are you kidding me? Fortunately, this momma is on top of things – there is a cup of water by his bed. I know what he wants: a fresh cold drink. I go to his room, pick up the cup and lie, “Bobby, this is fresh, cold water.” I hand him the water, he drinks, lays down, grabs his pacifier with one hand, twirls his hair with the other and his eyes are closed before I can bend down to kiss him goodnight. This happened often enough that Brian and I still, to this day, will laughingly say to each other, “Not that one, that one” when we have to make a choice of similar things. 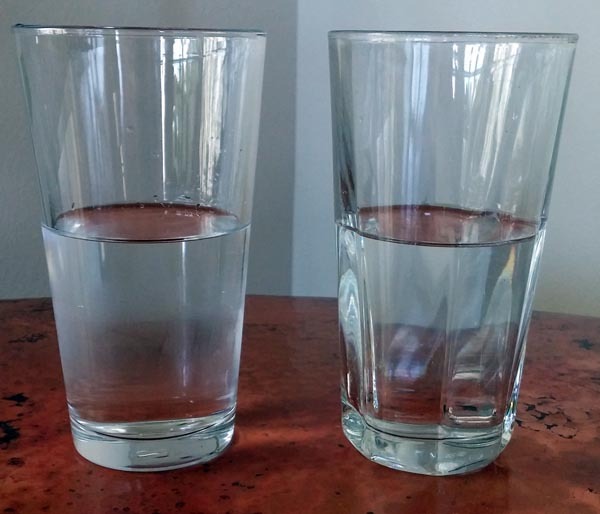 In Bob’s defense, he was taking allergy meds that made him really thirsty, and everyone knows fresh water is way more refreshing than water that’s been sitting for hours on the nightstand. 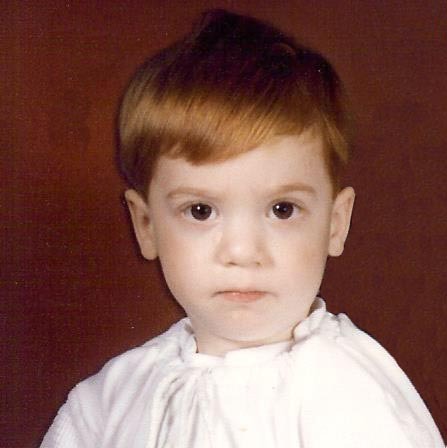 However, I was not amused in the fall of 1985 at 2 a.m. night after night. Not that house, that one! Not that friend, that one! Not that job, that one! Not that car, that one! Not that spouse, that one! Not that diagnosis, that one! Not that income, that one! Not that solution, that one! Not that ministry, that one! What are we truly saying to God when we complain about our circumstances? “I know better than you do what is good for me.” “Your mighty arm is not mighty enough to rescue me.” “I won’t like you if you don’t give me what I want.” “God, listen up, let me tell you what you don’t know.” What?! Are we so arrogant? Are we so immature? Are we spiritual toddlers? Why is it so difficult to be content no matter the circumstances? Why aren’t we continually grateful? After all, we are alive, we are breathing, we have been saved by God’s grace. We have a God who meets our every need. We are destined for eternal life in heaven. Why do we struggle with discontent in this life? I say, “we” because I am still trying to learn the secret of contentment. I want what I want and when I don’t get it I am often not the happiest of campers. I’ve been known to grumble, complain, whine, murmur and pout. Yet, I know that God commands me to be content. I know God will give me strength to learn, and then to live, contentedly. I know that contentment isn’t about my outward circumstances but the state of my heart. My goal is to learn and live in contentment because that reflects the glorious wisdom and provision of my amazingly good God. 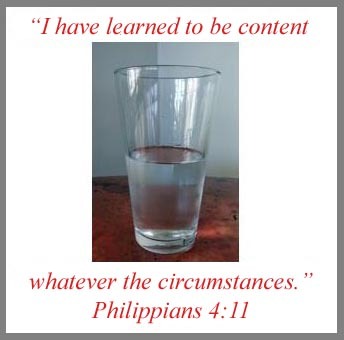 The secret of contentment is too big to unwrap in one blog post so I have chosen to use it for the “Summer Challenge” each Tuesday from now through August. I will lean heavily on Jeremiah Burroughs, The Rare Jewel of Christian Contentment, Thomas Watson’s The Art of Divine Contentment, and William B. Barkley’s “The Secret of Contentment. I have not mastered contentment yet. Thank you Marcia maybe thru God’s word the light bulb will go on. Hahahahaha… I’m such a bad mom!!! As I was reading this post, I thought of the book I’m reading about the Amish!! Amazing that the idea in both messages are the same. I love your post…reminds me of the times my boys were little. Oh, how I wish I could do them over! But, they don’t live far, and I get to see them often!! I think grandchildren are the do-overs LOL. Seriously, God is so gracious to redeem the years. Thanks for the post I am learning to be content.